I feel like I just won the Epicurean Lottery... 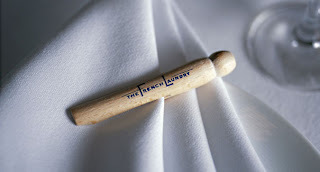 I just scored reservations for the French Laundry in February! I can barely contain my excitement! I have been dying to go there... Not just because it is the ultimate dining experience next to El Bulli in Spain, but because I am so fascinated with Thomas Keller after reading Michael Ruhlman's book, The Soul of A Chef. And also, now that I am leaving the Bay Area next Spring it is all about doing or rather, eating at all of the places that have been on my most coveted list. Unbelievable. But I got it!